Do you want to plan a multigenerational cruise, but you keep putting it off? 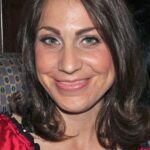 Multidimensional TravelingMom has taken two cruises with her husband, son, and parents. Her advice? There’s no better time than the present! Here are 8 reasons to take a multigenerational cruise this year. Do you want to plan a multigenerational cruise? Keep reading for reasons to plan a multigenerational cruise this year! Photo by Multidimensional TravelingMom, Kristi Mehes. The prices of cruises can vary depending on the length of the cruise, the itinerary, the time of year, and the stateroom you choose. However, there are cruises for every budget. Want a fun budget cruise? Carnival Cruise Line can be known as a party boat, there are also several things to do for younger kids. 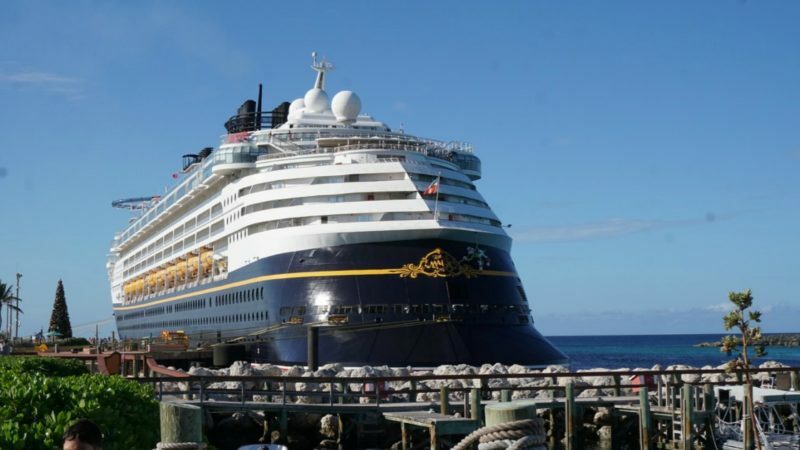 Disney cruises are more expensive; however the quality of food will satisfy your inner foodie, kids will go bananas over the kids activity center and, of course, the entertainment is Disney-level. Other cruise lines that cater to multigenerational families are Princess Cruise Line and Royal Caribbean. 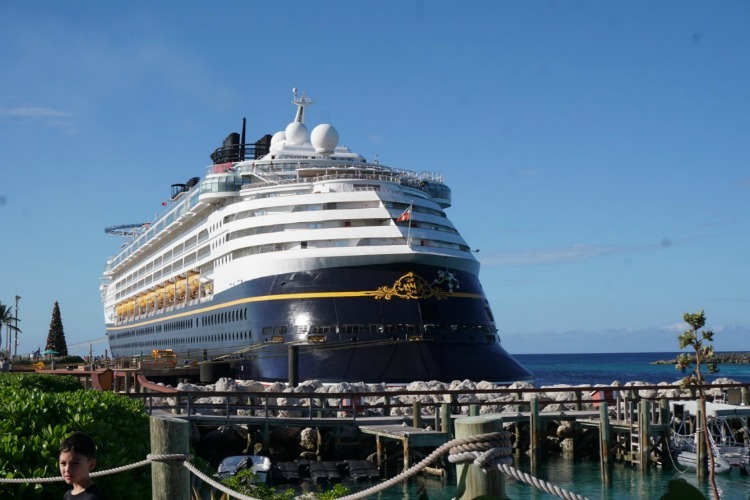 My family really enjoyed the cruises we took through Princess – the staff has been great with our son and, while the kids activities centers aren’t as elaborate as Disney, there are plenty of things for kids to do. Not only are there cruise lines for every budget, there are also different types of staterooms for every budget. Also, did you know that you can try to get connecting cabins if you’re traveling with extended family members? This is especially true on Disney cruises. However, if you want connecting cabins, book early. It will increase the chances of finding two cabins connected. Traveling with other people, including family members, can be uncomfortable when it comes to finances. For example, have you ever argued about who’s going to pay the bill when you and your family go out to eat at a restaurant? And have you ever had a family vacation go over budget? With cruises, there are few budget surprises. 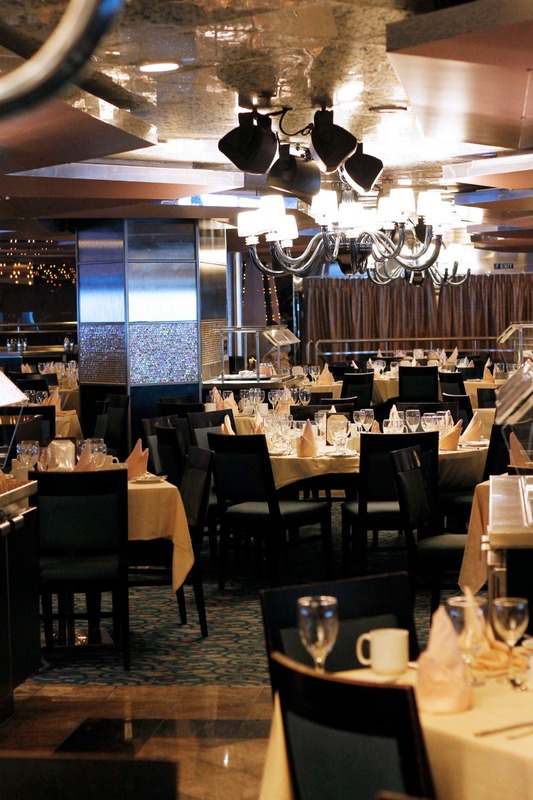 Most of the food is included in the price of the cruise, with the exception of specialty dining and alcohol. Most cruise lines offer nightly entertainment, like theater performances and comedians, as part of the price as well. Extra expenses, such as port excursions, are things you can budget for in advance. Just remember: Bring cash for tips for the incredibly hard-working cruise staff. The cruise line generally will offer guidance on how much to tip, so even that can be figured into your budget before you leave home. One of the reasons to take a multigenerational cruise? There’s something for everyone, including different dining experiences. Photo by Sarah Gilliland, Twins Traveling Mom. 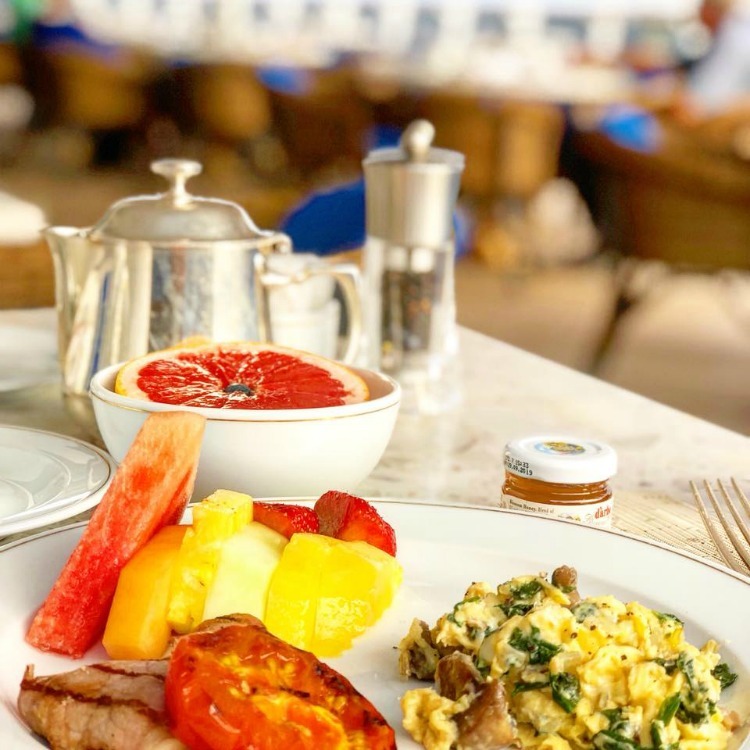 Fellow TravelingMom Britni Vigil put it best when she said this about dining on a cruise ship: “There’s something for everyone.” Most of the food is included in the price of the cruise, including an all-you-can-eat buffet and several sit-down restaurants. Specialty dining is also available, but expect to pay for that. And not only are there several restaurants onboard cruise ships, but there’s also a variety of food. For example, do you like sushi? Some cruise ships have restaurants that serve sushi, although it’s usually specialty dining, so be prepared to pay extra for it. Are you more of a meat and potatoes type of person? The pool grill is usually where it’s at. And vegetarians? You’re covered, too. One of the reasons to plan a multigenerational cruise? The variety of food that’s available. Photo by Luxe TravelingMom, Dana Zucker. For adults, there’s so much to do on a cruise ship, from shopping to spending an afternoon at the spa to hanging out at the pool. Several cruise lines also have casinos. For younger children, tweens, and teens, there are kids clubs and teen clubs and plenty of time to hang out at the pool. Several cruise ships offer other activities to enjoy, from bowling to mini golf to zip lining to water slides. Also, while Caribbean cruises are popular for families, there are also other cruises that may surprise you, like the Canada and New England cruise my family and I took a couple of years ago. It was a destination that both my parents and I (along with my husband and our son) had never experienced. One of the main reasons to plan a multigenerational cruise? There’s something for everyone, including the youngest members of the family. Photo by Southern TravelingMom, Melody Pittman. Making memories as a family is important, and that includes spending quality time together. Because cruising means most of the details are taken care of–unpack once and visits several destinations without worrying about any of the logistics–you have quality time to spend with your family. No one has to cook, no one has to clean, and no one has to do laundry (unless they want or need to). The goal is to have fun AND relax. And there’s usually plenty of time to do that on a cruise ship. While spending quality time together is important, there are plenty of places on the cruise ship to go to spend time apart as well. I scheduled a spa appointment while my son enjoyed spending time at the kids center. My husband found a quiet place to read his Kindle. My mom perused the shops, and my dad rested and walked around the cruise ship. My son loves spending time in the kids’ clubs now that he’s old enough to stay there without a parent present. But, when he didn’t meet the age requirement during our Canada/New England cruise, my parents helped out by watching him allowing my husband and I time to enjoy dinner at an adults-only restaurant. Here’s another reason to plan a multigenerational cruise you might not have thought of: Most cruise lines have professional photographers on board to take photographs of passengers and their families. When is the last time you had professional family photos taken with your extended family? I’m terrible at organizing family photos, even if it just includes me, my husband and our son. Yes, you could get that photo taken at home. But you wouldn’t have the gorgeous background and incredible memory of being together on a multigenerational family adventure. Even better, if you don’t like how the cruise photos turn out, there’s no obligation to buy them. 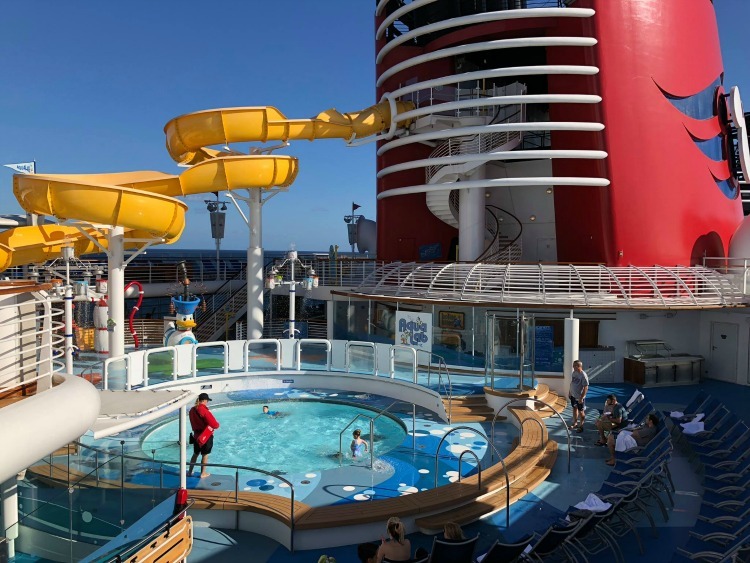 Do you love cruising with your family? What are your reasons to plan a multigenerational family cruise? Share with us in the comments below. Thinking of planning a multigenerational cruise? Here are several reasons to take a multigenerational cruise this year, such as affordability for families. Photos by Sarah Gilliland, Melody Pittman, and Dana Zucker.